Easy File Locker - When you've got something to hide ~ Android Forever! 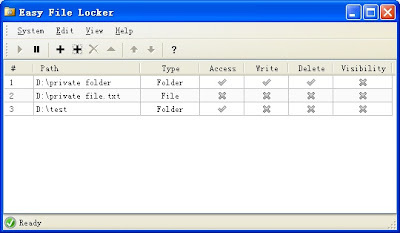 "Easy File Locker is a light-weight and easy-to-use security software product that can protect your private files and folders. With its great protection, users will not be able to open, read, modify, delete, move, copy the locked files/folders, or even not be able to see it. The hidden files/folders will be totally invisible to all users and to any program."